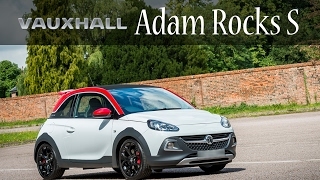 Vauxhall ADAM ROCKS is the latest addition to the Vauxhall's ADAM family. 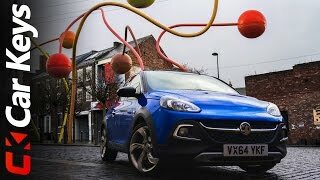 Initially, launched as a concept car (Vauxhall Adam Rocks Concept 2013) at the 2013 Geneva Motor Show, the car now is production ready. 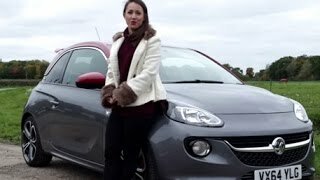 The 2015 Vauxhall ADAM ROCKS is the first Vauxhall to get 1.0L 115PS ECOTEC Direct Injection turbo 3-cylinder petrol engine. ADAM ROCKS will feature vibrant yellow Goldbusters exterior color. ROCKS is taller, wider and tougher in appearance when compared with other ADAM family members. 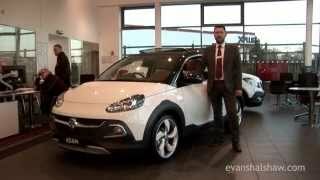 The Vauxhall ADAM ROCKS will be at the 2014 Geneva Motor Show. ADAM ROCKS pricing will be announced when it goes on sale in the summer. Production is due to start in Eisenach, Germany in August.